Antipasto Salad with Peperoncini Olive Tapenade is a tasty toss of crunchy lettuce, pickled peppers, olives, artichokes, salami, and fresh mozzarella. It's perfect as a delicious appetizer—or an easy, no-cook, summertime dinner! There are so many ways to enjoy peperoncini—ways you probably haven't even thought of. Mezzetta is celebrating this delicious and versatile ingredient with ideas for easy everyday meals, fantastic recipes, and an amazing sweepstakes. 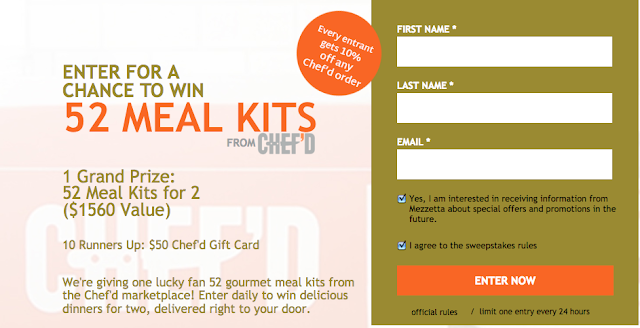 Enter here for a chance to win 52 Meal Kits for Two (valued at $1560!). Come back here and enter daily—you could be the winner of all these gourmet dinners for two, delivered right to your door. But, hey, just in case you don't win—and you have to make your own delicious dinners—you really should have some easy peperoncini recipes on hand. And this Antipasto Salad with Peperoncini Olive Tapenade is one. Every bite of it is brightened with these fantastic pickled peppers! I've got them chopped and mixed into an olive tapenade to create a fantastic marinade for fresh mozzarella; I incorporated the salty-tart brine in a bright and delicious salad dressing; and I've also used the peppers whole, as salad toppers. They pack flavor into every forkful of this fun, fresh salad. 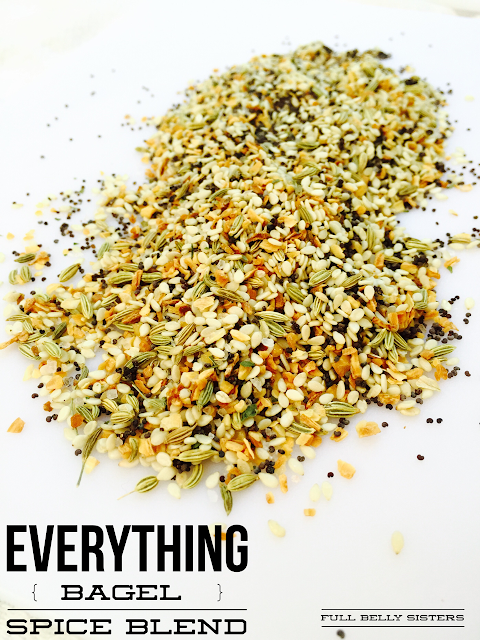 OK, don't be overwhelmed by the long list of ingredients. It's mostly a matter of chopping and assembling prepared ingredients—remember, there's no cooking involved in this easy summer meal! It only takes about 30 minutes to put together. You can even make the salad dressing and marinated mozzarella the night before. In a jar (or small bowl), mix together the peperoncini brine, red wine vinegar, garlic, red pepper flakes, and oregano. Add 1/4 cup extra virgin olive oil and season with salt and pepper. Keep in mind that the olives and salami in the salad are also salty, so don't over-salt your dressing. Note: the dressing can be made the night before and refrigerated in its closed jar. In a medium bowl, stir the chopped peperoncini into the olive tapenade. Add in 1/4 cup olive oil. Add the mozzarella (I used halved ciliegine, cherry tomato-sized balls) and toss with the peperoncini olive mixture. Note: the cheese can be mixed into its marinade the night before and refrigerated. In a large bowl, toss the romaine, iceberg, onions, and salami strips. Add the marinated mozzarella, plus about 1/2 of the salad dressing. Arrange the salad on a large platter. Top with the green olives, marinated artichokes, and whole peperoncini. Drizzle the remaining dressing over the salad and serve immediately. Whether you serve it as a starter or as your main dish, you are going to adore this salad. It reminds me of those delicious Italian subs, with the crunchy lettuce, salty salami, and tart dressing—but this is much healthier and definitely more sophisticated. Of course, this Antipasto Salad with Peperoncini Olive Tapenade is just one way to use these versatile and addictive peppers. If you want to get to the bottom of the jar and polish off all those yummy peperoncini, try adding them to tuna or egg salad sandwiches—or just snack on them right out of the jar! For more easy and delicious ideas, check out the Mezzetta website and #DontForgettaMezzetta! And make sure to enter the #Mezzetta sweepstakes every day for your chance to win 52 gourmet dinners for two! What's your favorite way to eat peperoncini? I love antipasto salads and I could eat this salad every single day. It so good. I love a good antipasto salad...all those yummy flavors! Beautiful! I love olives and Peperoncini! I could eat a huge plate of this salad! Delicious! This is such a mouth-watering salad! I love everything about it! This is quite possibly the world's BEST salad. I always carry these peppers! So versatile they are packed full of flavor. Your recipe looks just fantastic!!! Oh this salad is calling my name big time!! I think I just found our next bbq side! This salad looks fantastic! I love all of the flavors that are going on, especially the peperoncini and olives! I am in LOVE with this salad! Looks absolutely delicious! I love making antipasto salads but never thought to make my pepperoncini into the olive tapenade! What a great idea! This look SO GOOD! Love all the fresh, beautiful flavors, colors and textures... Can't wait to try it! Awesome. I could eat that whole plate!